7 millimetres – that’s pretty flat! Every slim made watch is only 7 millimetres thin. That’s indeed slim, but did you know other things this compares to in the world of animals? We did quite some research but did not find too many vertebrates that could keep up with that. 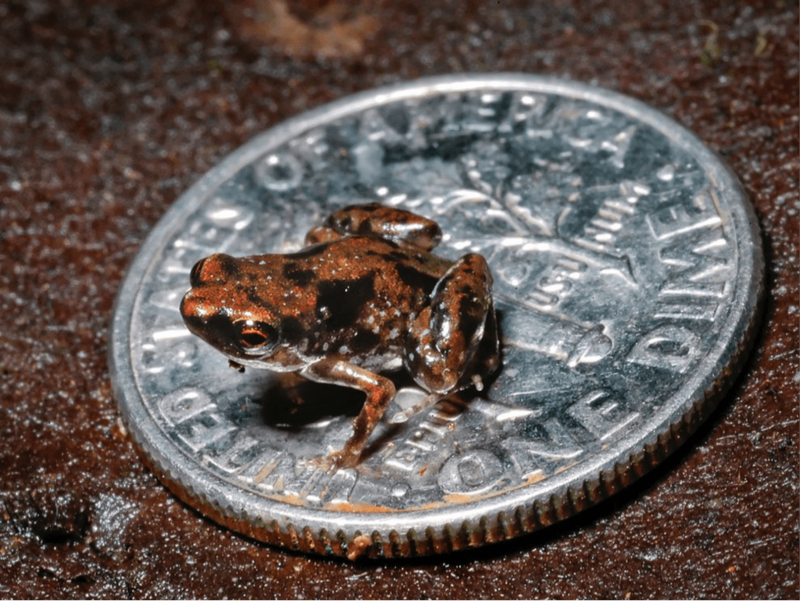 So we need to find the smallest vertebrate on the planet! In Papua Neuguinea lives a frag called “„Paedophryne amauensis“ (the names is based on the village Amau, where he was found fort he first time). The little paddock is indeed only 7 mm small. So he is one of the few specicies to match thinness of a slim made watch! Well, but probably he is not really the right choice for your wrist. So better stick wit your slim made watch instead! So, just swing by at our SHOP at any time. Pick your style, order with a few clicks and jump around the world like a Paedophryne amanuensis!